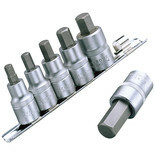 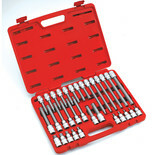 Durable high torque Hex bits made from Chrome Molybdenum with a satin finish and mounted on a socket rail. 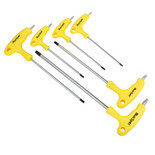 Professional tools carrying a lifetime guarantee*. 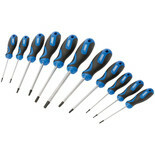 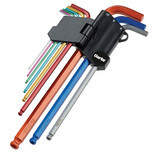 9 Piece colour coded extra-long ball end metric hex key set. 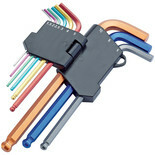 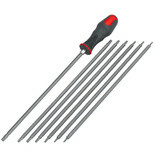 A robust long arm ball end metric HEX key set in chrome vanadium steel with a holding clip. 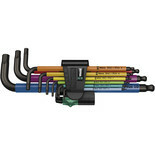 Clarke PRO345 9 Piece Colour Coded Extra-Long Star Key Set. 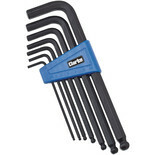 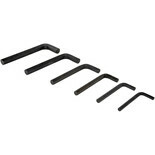 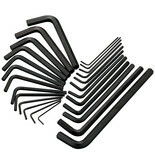 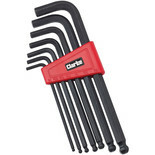 A good selection of popular sized strong steel hex keys of varying lengths all with a black finish. 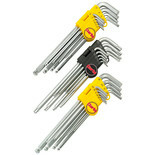 Key set with hexagon ball end on the long arm and conventional hexagon end on the short arm. 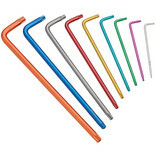 Each colour signifies a different size.